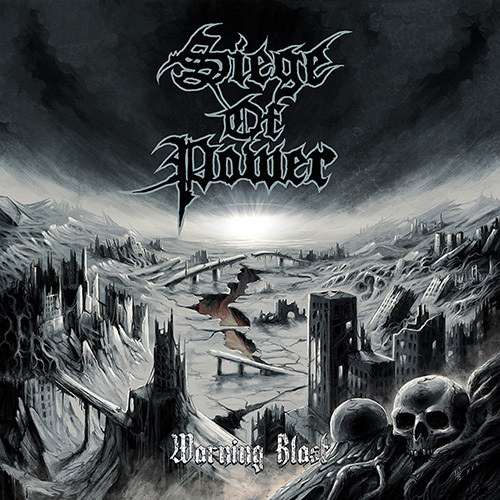 On September 7th, Metal Blade Records will release Warning Blast, the debut album by multinational allstar death metallers Siege Of Power! For a preview of the music, the new video for the second single, "Mushroom Cloud Altar", can be viewed right here. The band comments: "'Mushroom Cloud Altar' is a more punky track on the album Warning Blast. Straight forward D-Beat Discharge without blah blah!" Siege Of Power started in 2013 as a project without any expectations. Shortly after releasing a split album it was left for dead, buried and almost forgotten until the rotten corpse was exhumed in 2017. This resulted in a no-nonsense extreme metal album mixed with several doomdozers. Influences vary from Carnivore and SOD to Discharge and Amebix, done in their own style.